February 29, 2016 – Immediately after its 2008 launch, NASA’s Interstellar Boundary Explorer (IBEX), spotted a curiosity in a thin slice of space: More particles streamed in through a long, skinny swath in the sky than anywhere else. The origin of the so-called IBEX ribbon was unknown – but its very existence opened doors to observing what lies outside our solar system, the way drops of rain on a window tell you more about the weather outside. 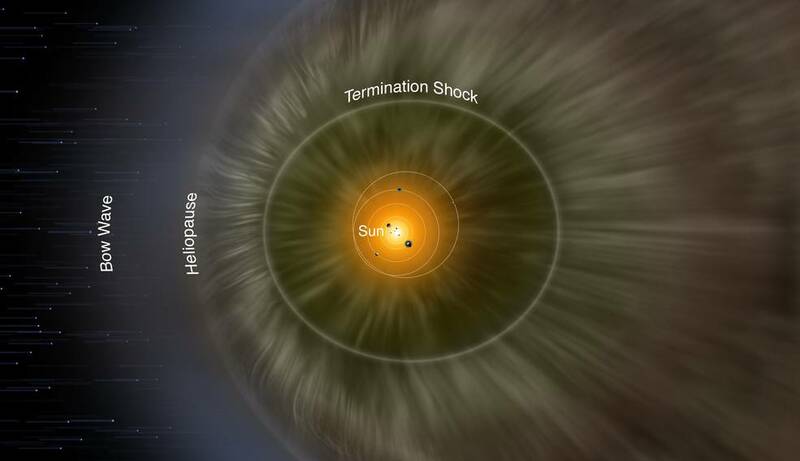 Now, a new study uses IBEX data and simulations of the interstellar boundary – which lies at the very edge of the giant magnetic bubble surrounding our solar system called the heliosphere – to better describe space in our galactic neighborhood. 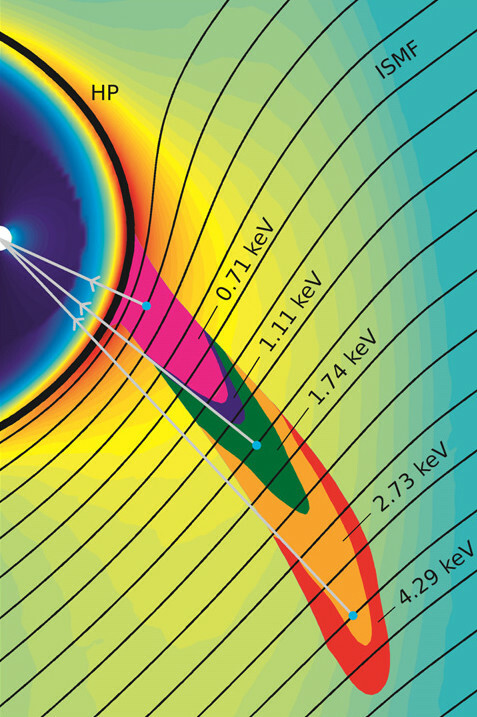 The paper, published February 8, 2016, in The Astrophysical Journal Letters, precisely determines the strength and direction of the magnetic field outside the heliosphere. Such information gives us a peek into the magnetic forces that dominate the galaxy beyond, teaching us more about our home in space.